Settee, in Louis XVI style, having a painted and parcel gilt frame, padded medallion backs surmounted by a crest carved as a bow flanked by laureling, joined by acanthine scrolling arms to the padded seat, bowed apron raised on tapering stop-fluted circular legs. Upholstered in linen with nailheads. CONDITION: Very good antique condition. Desirable wear to frame. New upholstery (swatch available). 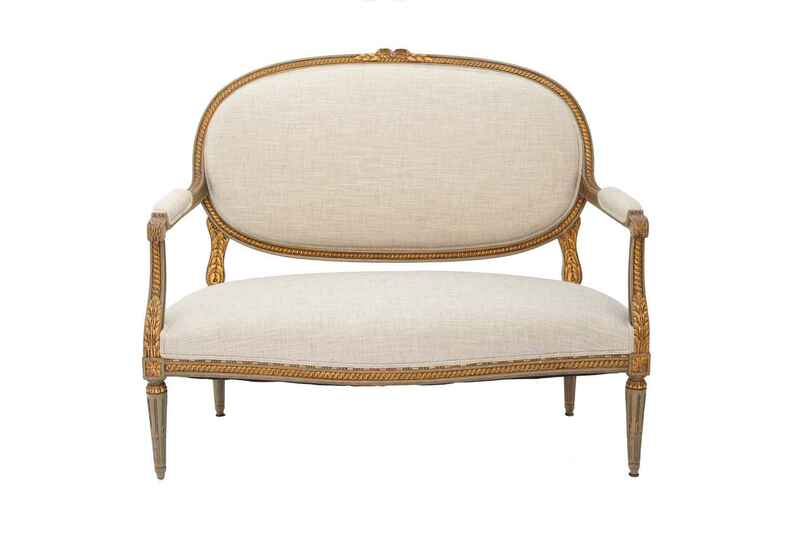 Settee, in Louis XVI style, having a painted and parcel gilt frame, padded medallion backs surmounted by a crest carved as a bow flanked by laureling, joined by acanthine scrolling arms to the padded seat, bowed apron raised on tapering stop-fluted circular legs. 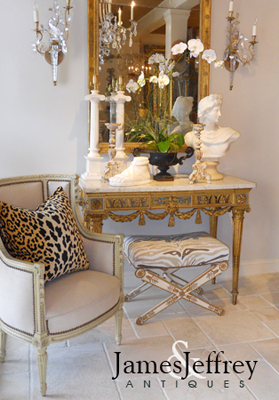 Upholstered in linen with nailheads. SEAT HEIGHT: 18.5 in. ARM HEIGHT: 28.25 in. CONDITION: Very good antique condition. Desirable wear to frame. New upholstery (swatch available).